In this section we focus on how to read Venn Diagrams as well as how we can use them as a tool to help us solve problems. How do we use Venn Diagrams? In a playground 6 students like to play on the swings and 12 students like to play on the jungle gym. 4 students played on both. How many students play only on the swings? How many students play only on the jungle gym? How many students are there in total on the swings and the jungle gym? Alex baked a batch of muffins. The different types of toppings Alex put on her muffins are given by the following frequency table. 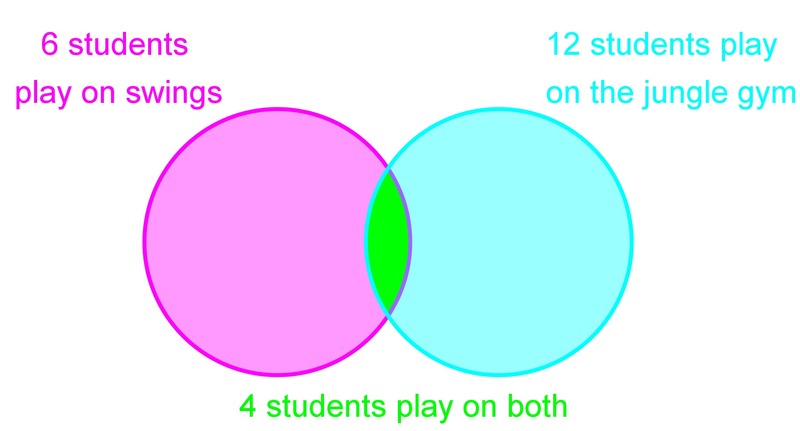 Represent this data using a Venn Diagram. Out of a class of 20 students, 12 students play soccer and 8 students play baseball. There are 3 students who play both soccer and baseball. How many students play only soccer? How many students don&apos;t play either sport? How many students attend both soccer practice and track practice? How many students attend track practice, or band practice, or both? 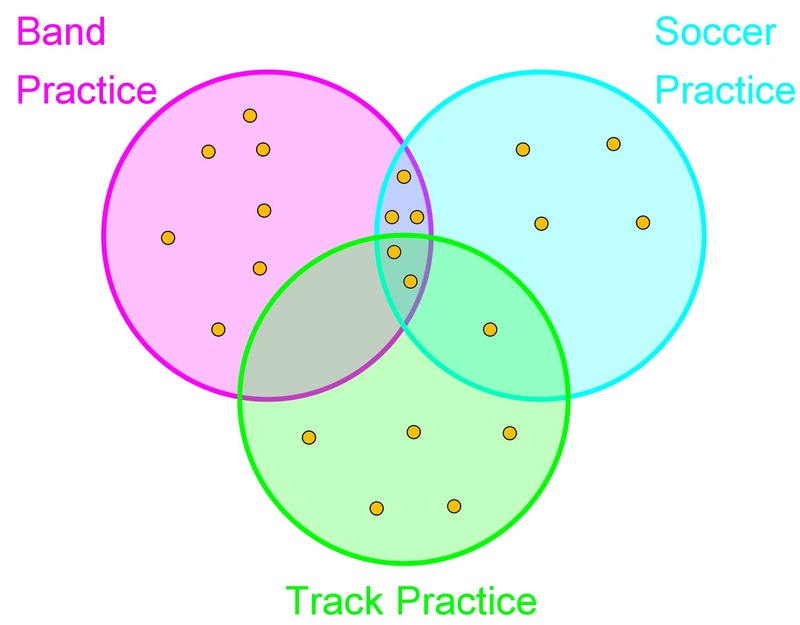 How many students attend both band practice and soccer practice, but not track practice?